Probably the biggest investment you will make in your camper is the roof. If you intend to put a roof on then the first choice you’ll need to make is whether you go for a fixed hi top or a pop top style roof. A fixed high top has the advantage that you don’t need to bother about putting the roof up and down when you arrive / depart camp. It’s always up. On the down side you always have a tall van – this impacts aerodynamics as well as your capacity to get into short spaces such as parking lots. Some people also dislike the aesthetics of a fixed high top. Price wise you are looking at anything from around £2500 upwards. 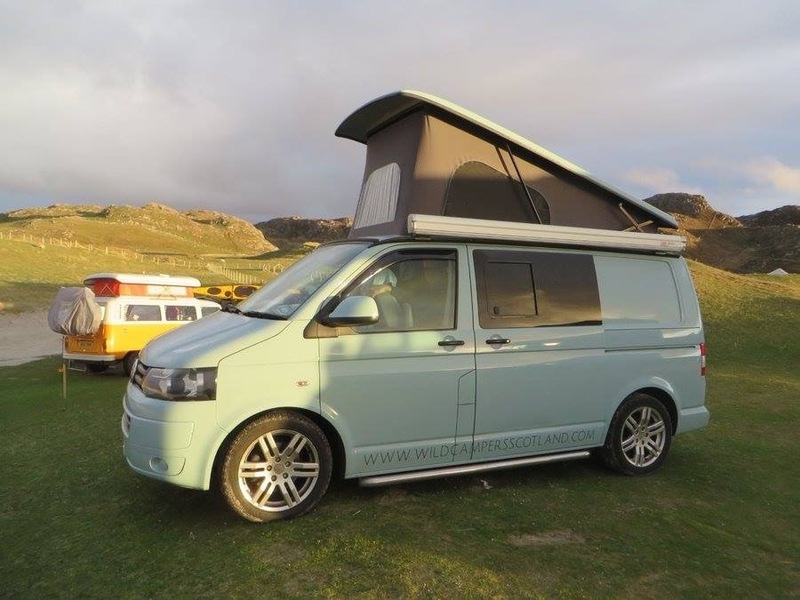 With a pop top the roof stays down when travelling and is put up for when you are camping. There are several different makes of pop top on the market – getting this choice right is key to being happy with your finished camper. You’ll find a wide range of opinions out there on pop tops but one of the constants is that German manufacturers Reimo (left) and SCA (below) have a sound reputation in the manufacture of high quality pop tops. Having one of the leading branded pop tops fitted will cost between £4300 and £6000. There are several cheaper ‘copy’ options on the market which we would generally steer clear of. Reimo and SCA have a relatively similar range of products and prices that are close to each other. You can see the full SCA range here. One advantage SCA has over Reimo is that they have recently introduced a ‘high’ version. (Pictured right.) This has higher hinges at the rear which means it is comfortable to sleep with your head at either end. Some would say that the Reimo is more aesthetically pleasing – it has a more flush fit compared to the SCA ‘spoiler’. The SCA has a more easily removable canvas which can be useful if you need to replace the canvas at some stage. When considering prices for both options remember that SCA has a roof bed included whilst with Reimo it is an optional extra. Also be aware that if your van is already carpet lined there will be an additional charge to remake the seem between the roof and the carpet lining. Roofs come in white as standard. You can add colour coding for £600.